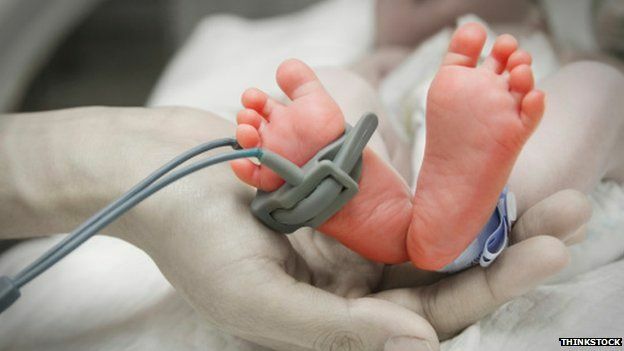 A preliminary report that has been described as “unacceptable” by ministers has revealed that there are too many poor quality investigations into babies who die or are severely brain damaged during labour. A preliminary report that has been described as “unacceptable” by ministers has revealed that there are too many poor quality investigations into baby deaths. The Royal College of Obstetricians and Gynaecologists has published its preliminary report into how problems during labour are investigated. More than 900 cases on baby deaths have been referred to the programme and 204 investigations have been reviewed. Out of the total number of investigations, 27% were found to be of poor quality. The final report is due in 2017. The inquiry, titled Each Baby Counts, has been set up to make sure that a mistake is followed by lessons that are learnt. The review also looked at the three-quarters of the 599 reviewed cases on baby deaths that did not involve the parents in any meaningful way. Out of 800,000 births after at least 37 weeks of pregnancy, in the UK in 2015, there were 655 babies with severe brain injuries, 147 neonatal deaths and 119 stillbirths. In all these cases, the babies had been healthy before labour began. The report said that all investigations on baby deaths should be robust, comprehensive and led by multi-disciplinary teams, including external experts and parents. “When the outcome for parents is the devastating loss of a baby or a baby born with a severe brain injury, there can be little justification for the poor quality of reviews found. “Parents’ perspective of what happened is critical to understanding how care can be improved, and they must be given the opportunity to be involved, with open, respectful and sensitive support provided throughout,” she said. Health Minister Ben Gummer said the findings were “unacceptable”. “We expect the NHS to review and learn from every tragic case, which is why we are investing in a new system to support staff to do this and help ensure far fewer families have to go through this heartache,” he said. “However, they are often working in systems that do not support best practice, and the safest and highest quality care as well as they should. “Each one of these statistics is a tragic event, and means terrible loss and suffering for the parents. “We must do all we can to reduce the chances of these occurring. She said that it was not always easy to get all investigations on baby deaths to be carried out to the same high standard.